The TDP (and of late even the BJP’s Andhra Pradesh unit) has been demanding this ever since Hyderabad and Secunderabad — headquarters of South Central Railway — went to Telangana. Railway Minister Piyush Goyal on Wednesday announced a new Railway zone based in Visakhapatnam, fulfilling a demand from Andhra Pradesh politicians pending since the creation of Telangana nearly five years ago. Was a new Railway zone promised to Andhra at the time of bifurcation? The TDP (and of late even the BJP’s Andhra Pradesh unit) has been demanding this ever since Hyderabad and Secunderabad — headquarters of South Central Railway — went to Telangana. It has been argued that getting a zonal Railway headquarters is important for local pride; also, that The Andhra Pradesh Reorganisation Act, 2014, had “promised” this. The Thirteenth Schedule of the Act says under the head ‘Infrastructure’ that the “Indian Railways shall, within six months from the appointed day, examine establishing a new railway zone in the successor State of Andhra Pradesh and take an expeditious decision thereon”. Does the Indian Railways have a state-specific character? The Indian Railways was envisaged as a modern organisation with a pan-India presence and character. Currently, the Railways have 17 zonal headquarters in 14 cities: Kolkata, Patna, Gorakhpur, Allahabad, Delhi, Secunderabad, Chennai, Hubballi, Mumbai, Jaipur, Bilaspur, Jabalpur, Guwahati, and Bhubaneswar. They are not necessarily in state capitals, nor is every state “represented” on the list. Two zones — Central and Western — are headquartered in Mumbai; Kolkata has Eastern and South Eastern, apart from the Kolkata Metro. In its replies to Parliament, the Railway Ministry in most cases presents facts and figures zonewise, rather than statewise. It says zones and divisions (a zone is divided into divisions) are created based on administrative and operational needs. How did the zones of the Indian Railways come into existence? Following independence, India worked to consolidate 42 big and small railways owned by the princely states and other entities into a single network. In 1947, the country’s total rail network was 54,380 km, and included networks as small as Sangli (8 km) or as big as Nizam State Railway (2,125 km). In 1951-52, six zonal railways were created to “amalgamate the smaller independent lines into contiguous areas of self-sufficient zones having economic unity and natural flow of traffic”, said an internal report of the Railways that examined whether a new zone for Andhra Pradesh was feasible. The intention was to bring down overheads, eliminate duplication of work, “unnecessary correspondences”, and inter-railway adjustments, and ensure more expeditious disposal of business. The internal assessment report was submitted to the Ministry last year. How is the Indian Railways network administered? Each zonal railway is a self-governed unit with a jurisdiction and boundary. A train passes through multiple zones (and divisions) on its journey, crossing from one administrative entity to another at ‘interchange’ points where it is “handed over” to the next zone. Each zone is responsible for the smooth operation and punctuality of a train while it is in its jurisdiction. Boundaries that do not add to the efficiency of the Railways are avoidable, officials say. The final product offered by the Indian Railways is, after all, a train that cuts across regional and geographical boundaries on its journey, says the internal assessment report. An increase in the number of jurisdictions without a clear need is akin to erecting more checkposts or barriers on a road when the smooth flow of traffic is the key requirement, officials say. “A new barrier will slow down train operations to a considerable extent…, affect the mobility, commercial viability, and result in wastage of precious capacity, rolling stock and manpower,” the assessment says. What specific challenges could the creation of the new zone pose? Waltair (Visakhapatnam) division, which loads around 60 million tonnes of freight every year (which is quite high for a division), will become a zonal headquarters. A part of Waltair division will be merged with the adjacent Vijayawada division, and another part will become the new Rayagada division. This break-up of East Coast Railway (which has Waltair division) will create operational bottlenecks, reduce flexibility in the loading and unloading of freight, and could hit the revenue generation capability of the zone, critics of the move argue. South Central Railway, which will be reorganised for the new zone, will be disrupted as well. “Due to its critical size, ports, industries and mineral hubs are well served by its internal cycles. Any realignment of the present zonal system will have a detrimental effect,” says the assessment. Rayagada in Odisha, where the only significant railway installation currently is a yard, will have to be turned into a divisional headquarters of the new zone, as per the government’s decision. This will mean both capital expenditure and recurring expenditure. Creating a zonal headquarters in Waltair, too, will involve costs. But will the move help Andhra? In general, a new Railway zone does little for a state or its people. Groups C and D vacancies are filled through Railway Recruitment Board exams; there are already 21 such boards for 17 zonal Railways, and the exams are open to any qualifying Indian citizen. Each zonal headquarters has a Railway Recruitment Cell to fill Group D jobs, but the same rules apply there, too. Amaravati, the new capital of Andhra Pradesh, is in the Vijayawada-Guntur division, and is already well connected to the rest of India by five lines. Projects for rail-connectivity infrastructure in the area have already been sanctioned, and a new zone does not help much. Floodgates could now be opened for more state-specific zones and divisions. Demands for at least 52 new divisions and 26 new zones have already been made. Odisha MPs have in the past objected to the realignment of Bhubaneswar-based East Coast Railway, of which Waltair is the premium division. 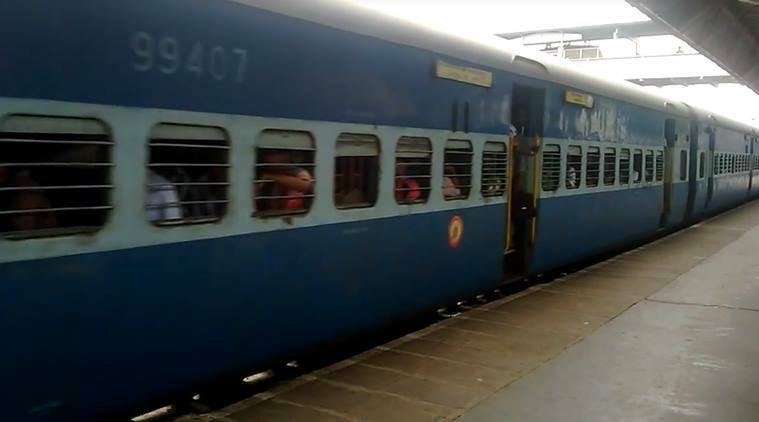 Some Odisha leaders have told the Railways that if Visakhapatnam is taken away from ECoR, the state should be compensated with new divisions like Rourkela, Jharsuguda, and Jajpur-Keonjhar. 1 El Niño rising: Will it affect the Indian monsoon?